British tourists to the Costa Blanca, as well as expats living in the region, tend to congregate and socialize in British bars and pubs to discuss news of home over a few drinks. They like the idea of familiar brands and traditional pub grub while chatting to like minded folk from the British Isles. Most British bars offer their patrons a host of entertainment options on various nights. Some have bar league games such as darts and pool. Arranged outings like coach trips and boat and fishing trips are offered in some bars, while others feature live entertainment such as bands, comedians and tribute acts. Family pubs have quiz nights and other family entertainment, the likes of ‘play your cards right’ and ‘open the box’. 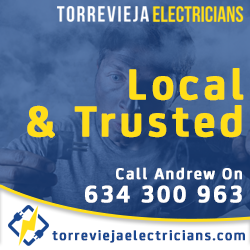 Torrevieja city has a predominantly Spanish population and traditional British style pubs are far fewer in number than Spanish tapas bars. Apart from Irish pubs and bars, which shall be covered in a separate post, there are a few British bars to discover in Torrevieja. Bar Patricia can be found on Calle Otono, in the north of Torrevieja. It is a friendly British themed bar established in 1989 and run by owner, Doug. It boasts a wide range of drinks and tasty, reasonably priced wholesome food. The pub is child friendly and hosts an array of entertainment including karaoke, quiz nights, bingo, line dancing and barbeques during the summer. Bar Carlos on Santa Petra near the Friday street market in Torrevieja, is another lively British run bar. The bar owner, Carlos and his team are extremely friendly and welcoming. Excellent food is served all day and entertainment offered most nights including a jazz band on Sundays. Well worth a visit after a busy days shopping at the market. Alikatz Bar on Calle Heraclio, also near the market and beach, is another popular choice with the British. Owned and run by John, this bar is famed for it’s karaoke until midnight and dancing till 4am! The staff provide a friendly service and an interesting menu is available all day. Bar Oly’s is situated on Calle Galeon and is a lovely little English pub. A great selection of drinks, delicious food and a warm welcome from owners Shaun and Denise await you. Great entertainment and a cosy atmosphere make this little gem well worth a visit. The Boston Tavern on Calle Triton in Torrevieja is also worth a mention. This spacious British style bar and restaurant is located in a peculiar V-shaped building. It boasts a delightful menu and glorious terrace area to enjoy a sundowner and delicious bite to eat. 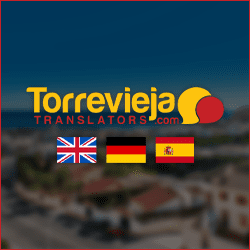 About 8km south of Torrevieja, the districts of Orihuela Costa, Punta Prima, Playa Flamenca, Cabo Roig and the like, have a large British expat community as well as being very popular with British tourists and holidaymakers. Consequently, there are many more British themed pubs and bars in these areas than in the very Spanish Torrevieja. Perhaps one of the most popular British pubs in Orihuela Costa is the Lime Bar at Via Park 3. This spacious pub is open and busy all year round and has a large local following. The friendly and professional bar team guarantee a warm welcome and the bar boasts no fewer than five large flat screen televisions for customers to watch different sporting events. A wide range of entertainment on specific nights includes music, quizzes and raffles. The owners also organise outings for regulars including coach trips to Benidorm as well as hosting golf and fishing societies. Clarkes Bar, situated on Av. Orihuela Mz ll, is a traditional British pub with a large following. Offering a huge range of ales, stouts, lagers, ciders, wines and spirits, owners Tommy and Mary provide a warm welcome to all their guests, both old and new. Their food menu is extensive and various meal deals such as 2 for 1 are available every night of the week. Entertainment options on different nights include games and quizzes, live bands and pool league evenings. Clarkes Bar truly has something for everyone and is well worth a visit. The Ale House on Villamartin Plaza is a family run British themed sports bar. As well as multiple flat screen TVs to watch all live sporting events, owners Lisa and Karl boast the best breakfast to be had on the costa! The rest of the bar menu is tasty, reasonably priced and can be enjoyed on the spacious sunny terrace. With a superb range of beers, wines and evening entertainment, The Ale House is a popular venue all year round. The Rose & Crown located in the Commercial Centre at Playa Flamenca is an English pub offering good value drinks and traditional pub grub. This family run pub and restaurant is also famed for it’s delicious Sunday roasts and friendly atmosphere. Another British pub in Playa Flamenca worth a mention is Legends Bar located on Calle Niagra. Popular for it’s party nights and televised live sports, this bar really rocks! Open until late, Legends feature Open Mic/DJ evenings and live bands to dance the night away. Their reasonably priced Sunday Carvery also has a faithful following of fans. For those seeking a good old fashioned Cornish Pasty with their pint, Cornish Pride pub, also in Playa Flamenca is the place to visit. The pasties are imported from Cornwall and this English pub offers a great value menu with generous portions. Bar Liquid is a lively drinking and dancing venue on Calle Cielo, Cabo Roig (the famed Cabo Roig Strip). With beers by the bucket load (literally) available and live bands or DJs most nights of the week, this bar is favoured by the younger crowd in search of loud trendy music and somewhere to dance till dawn. Bar Liquid also provide live sports coverage, league darts and the tempting lunch and cocktail menus looks great. Also on the Cabo Roig Strip is Willys Pub. Featuring a large outside terrace, this bar has regular live acts and bands as well as Happy Hours, Karaoke and large screen live sport. Other watering holes on the famed Cabo Roig Strip include The Queen Victoria renowned for it’s bingo and quiz evenings, karaoke and fish & chips and curry nights. Harley Bar is a well known hangout for Harley Davidson motorbike enthusiasts and Pharoah’s Sports Bar features live horse racing coverage daily. Moore’s Bar in Cabo Roig is dedicated to any die hard Tottenham Hotspur fan. It’s a family run pub featuring all things Spurs and has a fabulous range of food and drinks. The Inn On The Green is a cosy and friendly British themed pub on Calle Mandarino, Locale 4, Laguna Green. Featuring live entertainment and tasty meals, this welcoming pub is worth a visit if you’re in the area. Other British pubs and bars in the Orihuela Costa region include Buddy’s Bar in Via Park ll, So Bar on Via Camino Benijofar, Tradewinds Bar in La Fuente and Ron & Son Bar in Cabo Roig. All have their followers and contribute to the huge variety of venues to choose from for the local British expats and visiting British tourists on Spain’s sunny Costa Blanca.